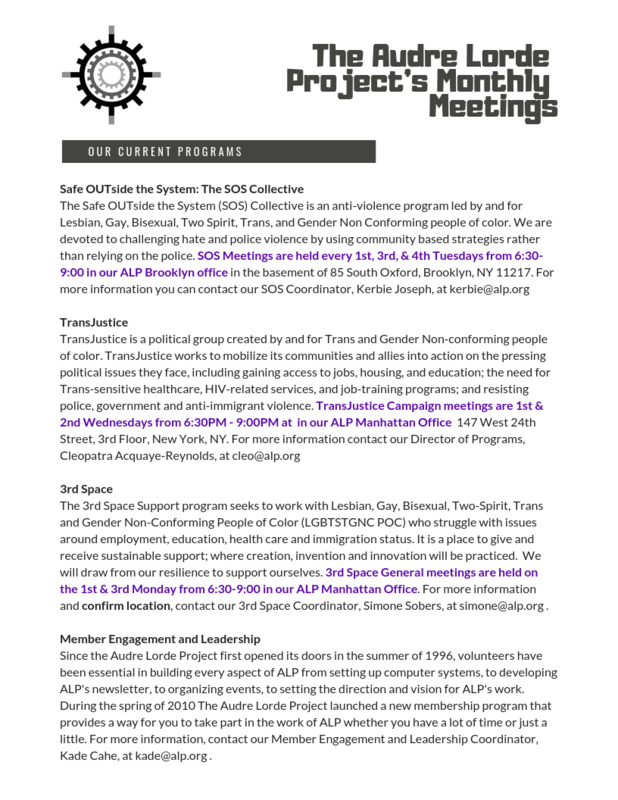 In this interview between Kade Cahe, The Audre Lorde Project’s Member Engagement and Leadership Coordinator and Janhavi Pakrashi, the Communications Coordinator, the discussion covers the role and impact of membership development at our organization. At the last Membership Orientation, Kade mobilized a group of 22 new members to participate in an informational gathering in which folks were grounded in the organizing principles of the Audre Lorde Project, in addition to having the opportunity to get to know our staff members and each other. During the gathering, folks broke into group exercises that set the tone for sharing and conceptualizing the roles they might envision for themselves as participants in intersectional feminist movement building. 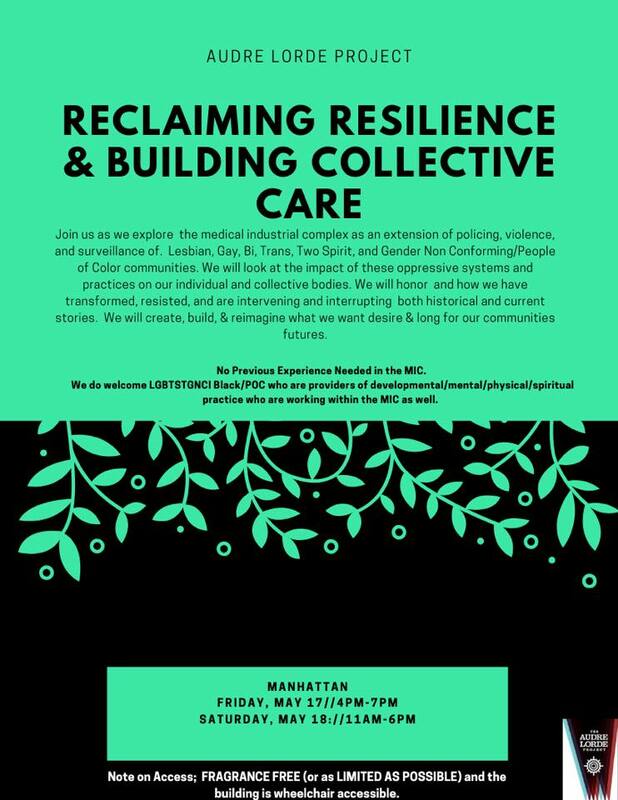 Join us as we explore the medical industrial complex as an extension of policing, violence, and surveillance of Lesbian, Gay, Bi, Trans, Two Spirit, and Gender Non Conforming/People of Color communities.